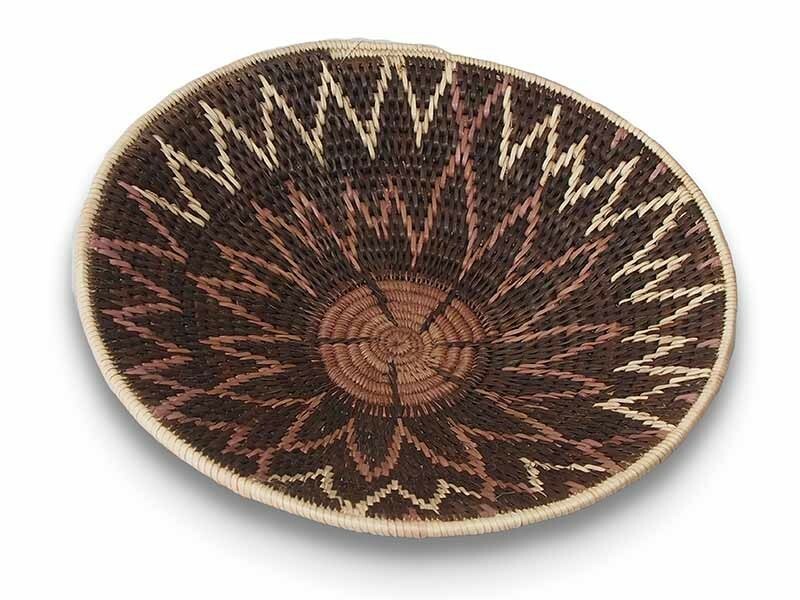 The Kavango tribe in Namibia are responsible for the beautiful detail in these baskets. 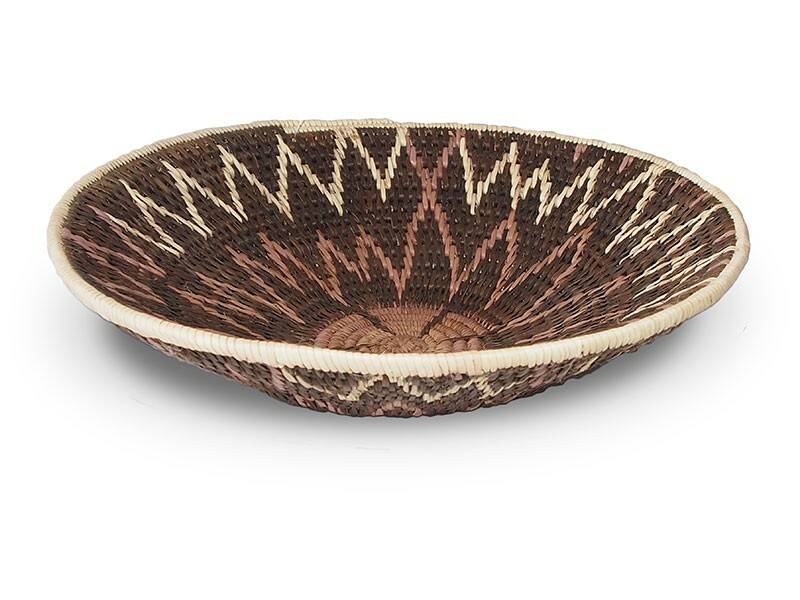 Made from palm leaves and shoots which have been dyed with natural dyes created from roots, bulbs and bark. the baskets are traditionally used for collecting fruit.